Программа умеет работать с архивами ZIP, CAB, ARJ, LZH, TAR, GZ, ACE 2.0, BZIP, JAR, UUE, GZIP, BZIP2 и 7-Zip, при этом она обладает многочисленными очень полезными возможностями - шифрование, поддержка непрерывных (solid) архивов, в которых степень сжатия может быть на 10 – 50% больше, чем при обычных методах сжатия, специальный алгоритм для сжатия мультимедийных файлов, поддержка многотомных архивов и многим другим. WinRAR is a trialware file archiver utility for Windows, developed by Eugene Roshal of win.rar GmbH. 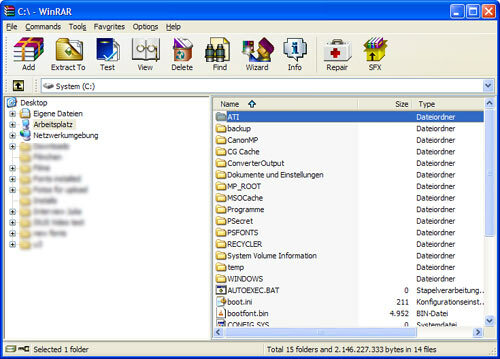 It can create and view archives in RAR or ZIP file formats, and unpack numerous archive file formats. To enable the user to test the integrity of archives, WinRAR embeds CRC32 or BLAKE2 checksums for each file in each archive. WinRAR supports creating encrypted, multi-part and self-extracting archives. WinRAR is a Windows-only app. The author has also released an Android app called "RAR for Android", and command-line utilities called "RAR" and "UNRAR" (widely released since autumn of 1993), available for macOS, Linux, FreeBSD, Windows, and MS-DOS. A: Положить файл rarreg.key в папку с установленным WinRAR'ом. to locate the first volume and process the volume set from beginning. Explorer file properties for archives with encrypted file names. a password and previously it just displayed 0% here. access to already freed memory followed by crash. c) fixed a crash when processing corrupt RAR archives. backslash, WinRAR ignored first "Up one level" command. c) fixed crashes in corrupt RAR, ACE and LZH archives. 2. "Find" command displays the number of found items in status bar. in the same switch to set the same date for all specified times.